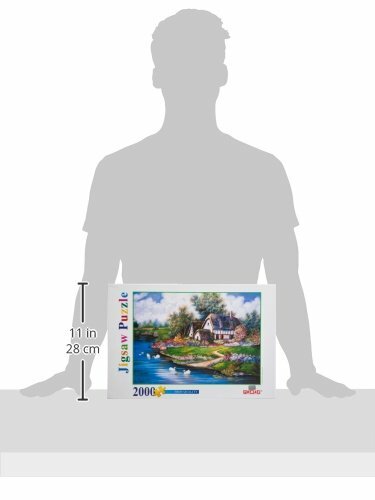 Create your own home along a river when you complete this 2000 piece jigsaw puzzle by Tomax. The completed puzzle measures 73 x 102 cm / 28.75" x 40.16". It is made in Hong Kong.